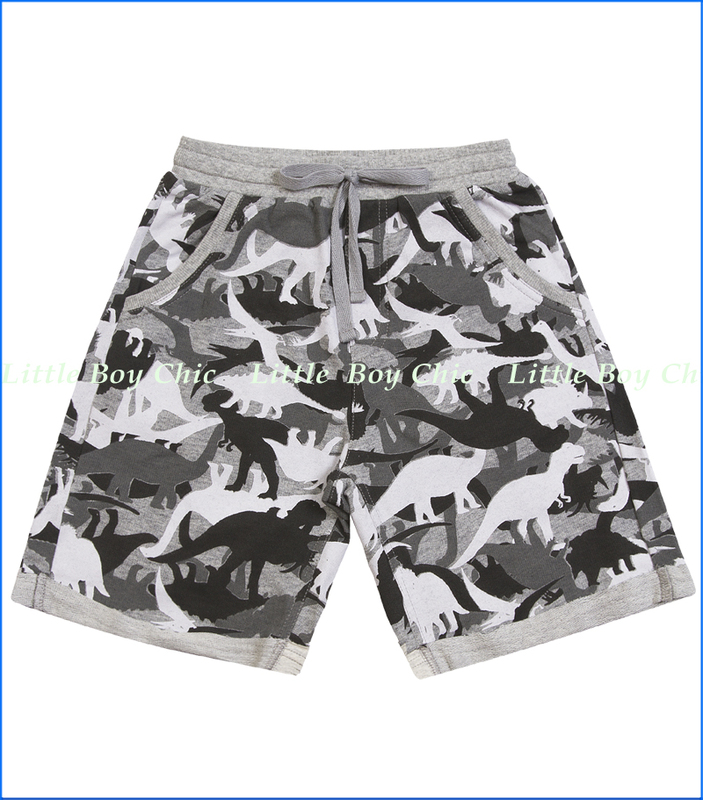 These super comfy french terry shorts feature an awesome camo print made of all kinds of dinosaurs. Let's see how many he can find and identify. 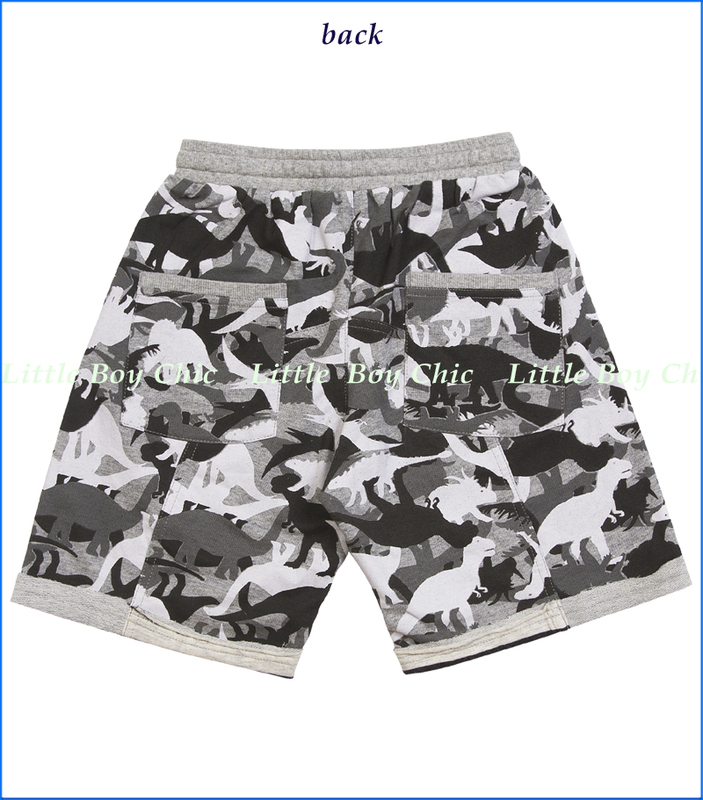 A relax pull-up style with elastic waistband and functional drawstring. Faux fly. Front and back pockets with ribbed trim. Cuffed legs have jersey fabric embellishment. Made of high quality organic cotton.